The Slipper itself is one of Australia’s four majors, and the only one run outside of Victoria. 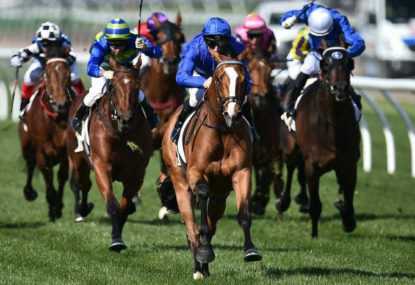 Throw in Winx for her second last ever run, and The Autumn Sun in what may be his final race on Australian soil, and the scene is set for a memorable day. 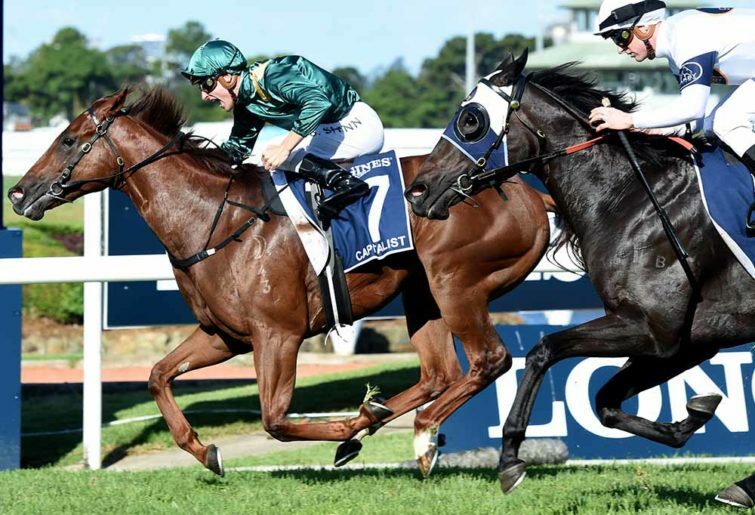 The Golden Slipper has attracted what looks a high-class and competitive field. 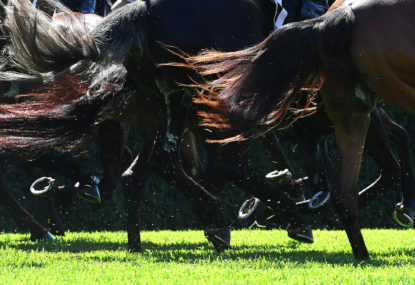 Seven last start winners are engaged, and of those that aren’t, several of them won a Group race two starts ago, and a couple of others filled the placings in the Blue Diamond. Cosmic Force has been heavily backed into outright favouritism this week, off the bank of his seven length win on the heavy on Saturday in the Pago Pago. There are question marks over the B- and C-graders he beat there, but he was second to Microphone the start before, and that colt is testing material. Yes Yes Yes had been Slipper favourite after his Todman Stakes win, but will jump from the widest gate. Time to Reign has flopped twice as short favourite this prep, either side of an impressive win in the Silver Slipper. Who knows what to make of him now. Godolphin has a host of runners, including the aforementioned Microphone who shapes as the professional of the field. 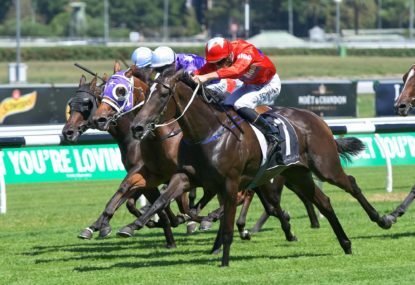 Tenley is the best of their chances according to the market at this stage, an unbeaten filly that finishes hard and gives the impression there is more to give. 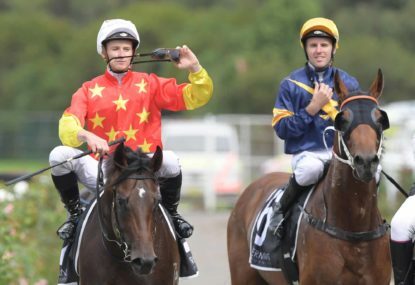 Pin Sec won the Black Opal, not a race that usually stands up in the Slipper. On the other side of the coin, the Blue Diamond form usually holds up well in the Slipper, won by Lyre this year. She is versatile and tough, and knows where the winning post is. It’s doubtful there’s much between the Melbourne and Sydney form this year, given we’ve seen a few race in both states already. The Magic Millions quinella of Exhilarates and Dubious has been a bit forgotten, but probably shouldn’t be. They’ve stacked right up in their Sydney lead-ups. Then there’s a talent like Loving Gaby that could be anything. It’s an incredibly tough race to dissect, let alone without knowing exactly what condition the track is in, and how it’s going to be playing on the day. Traditionally, a Slipper is won by those that take the shortest route along the fence. 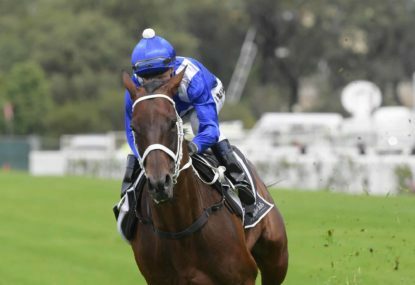 Winx is shooting for her fourth George Ryder Stakes win in a row, just another of the races that she has owned in her remarkable career. She has won this race on the good, the soft and the heavy, so regardless of what track conditions are presented on Saturday, we know what she will be unfussed. Winx beat Happy Clapper into second last year, and is coming off two runs where she has done the same. Her last start Chipping Norton victory was exciting after her great rival tried to pinch a break. 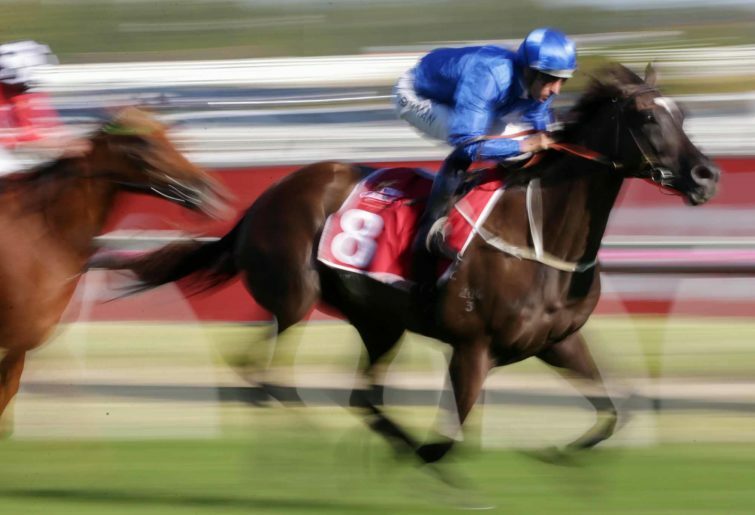 Winx has eight rivals in this race, with seven of them never having taken her on before. At least we’ll get a look at the great champion against a different set of rivals. Egg Tart is used to seeing Winx, but has been okay behind her this prep and usually enjoys getting her toe into the turf. Land of Plenty has had a very good season in Group 1 races – he’s run in six and not finished worse than fourth, with a win and three placings. He doesn’t love wet ground though. Prompt Response is a super consistent horse in mares grade, and handles all conditions. Teleplay is lightly raced, honest and still improving. Dreamforce usually runs well around the Group 3 level. So Si Bon is racing in great heart and did run third in the 2017 Rosehill Guineas on a heavy track. Ringerdingding and Brutal add something to the race as three year olds. 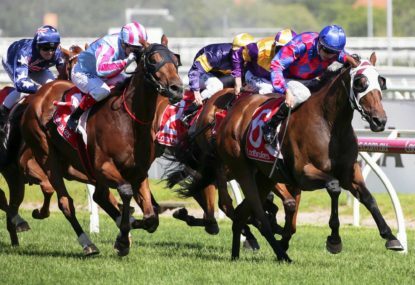 Ringerdingding is coming off a fourth in the Australian Guineas to superstar filly Mystic Journey and Brutal takes on the older horses again after doing so in the Canterbury Stakes two weeks ago. 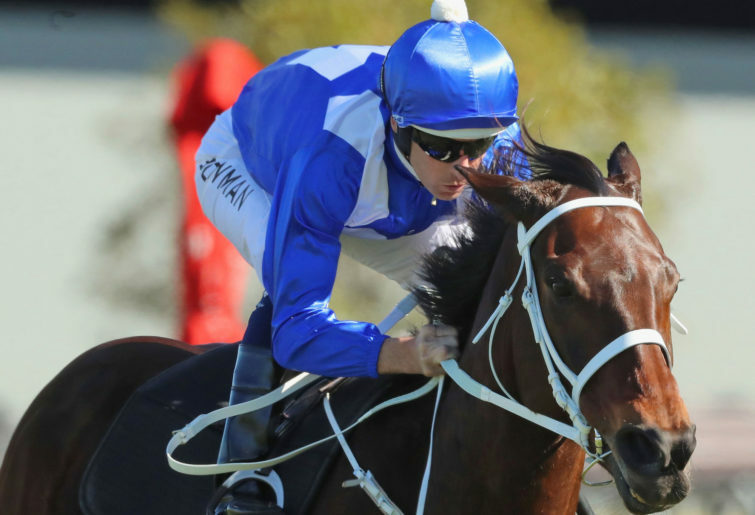 The Ranvet Stakes has assembled a solid line-up of middle distance weight-for-age gallopers. Avilius is the warm favourite, despite his bubble bursting in the Australian Cup two weeks ago when he was heavily backed into very short red figures. He ticked every box in the lead-up, but just didn’t let down like we know he can in the straight. Still, he was beaten only a length and a half, and we know he is all class when he brings his best. Half a dozen others also ran in the Australian Cup and present here, only one of which beat Avilius home, so it’s not the cream of the crop. Shillelagh was that horse, and we know on her day she is a legitimate Group 1 horse. Her record shows two soft track wins, but they were her first two career starts. The interesting runner of the race is He’s Eminent, a European Group horse that has raced with distinction against some of the best that part of the world has to offer. He toweled Avilius up by five lengths a year and a half ago. Danzdanzdance won two Group 1 races in the New Zealand summer, but we saw last autumn she was a reasonable way behind the likes of Unforgotten and Hiyaam when she came over to take them on. She may have improved, but the Kiwi form has been weak this season. Unforgotten has been waiting for an easier race after taking on Winx and Happy Clapper at her last two, and this shapes as a winnable Group 1 the stable would have been stalking for some time. She’s an unknown on wet ground, so any bet on her carries risk. Egg Tart is a chance if she runs here instead of the George Ryder, coming through the same races as Unforgotten, and will be better served ridden colder than she has been. It’s always great to see one of the superstars take on a Group 1 handicap; it’s something we don’t see much of any more given the proliferation of WFA races with Group 1 status. 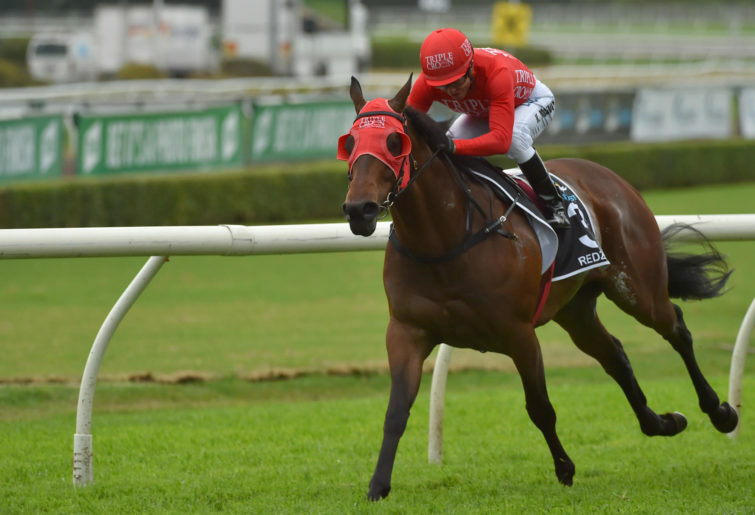 Redzel will carry 59.5kgs in the Galaxy and jump as favourite unless something gets spectacularly backed to beat him. He won The Everest on bottomless ground in the spring, and has always been a good mudder. Even when he doesn’t win, he’s rarely far away. Ball of Muscle got the best of Redzel first-up, and meets him 3.5kg’s better for the experience, but isn’t as effective on the wet. He’s experienced a career resurgence this season. Nature Strip beat Sunlight by six lengths last time he raced on a track with some proper give in it, and has been the subject of some early support. He’s only raced in two Group 1 races previously, started hot favourite in each, and been beaten about four and a half lengths both times. He’s a fascinating horse, highly talented. Graff has been knocking on the door of winning a big race all season, fantastic in the Golden Rose, Everest, Lightning and Newmarket. He’s due, he’s good enough, and has a winnable weight. 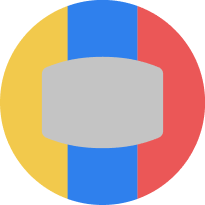 Viridine and Pierata are enigmatic gallopers, constantly mixing their form. 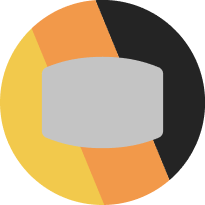 Pierata dominated the Sydney Stakes on heavy ground in October, and is a great price if you can trust him to repeat that run. Jungle Edge was second to Pierata in that Sydney Stakes and relishes the slops. His favoured ground always gives him a chance. Easy Eddie is another wet tracker in form, and is down in the weights. Encryption has been running well in the right races, but needs good ground. The Autumn Sun his the Rosehill Guineas coming off an extraordinary win in the Randwick Guineas when he picked himself up to fly home after looking like he’d been left with too much to do. It was the win of a champion, and great theatre to boot. The Autumn Sun steps beyond 1600m for the first time in his career, but everything about him suggests that he will relish 2000m more than any other trip he’s enjoyed so far, and wet ground shouldn’t stop him. 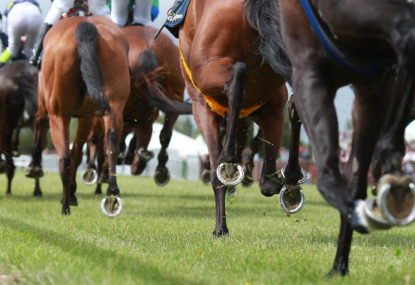 In something of a first, five New Zealand horses occupy the next lines of betting. The theory is understandable, given there is nothing to suggest any of the Australian colts can best The Autumn Sun. Madison County was good in his own right when fourth in the Rosehill Guineas, with two very smart fillies in-between him and the favourite. He will improve off the run, and wet ground should help him too.